WASHINGTON: In a movie era dominated by thrillers and superheroes, few saw this coming: the weekend´s top box-office draw in North America was "The Upside", the story of a wealthy quadriplegic and his ex-convict caregiver. STX´s "The Upside" -- one of the last films made by Harvey Weinstein before sexual abuse allegations brought his Hollywood career crashing down -- took in an estimated $19.6 million for the three-day period, ending the three-week reign of "Aquaman," which earned $17.3 million, according to industry watcher Exhibitor Relations. 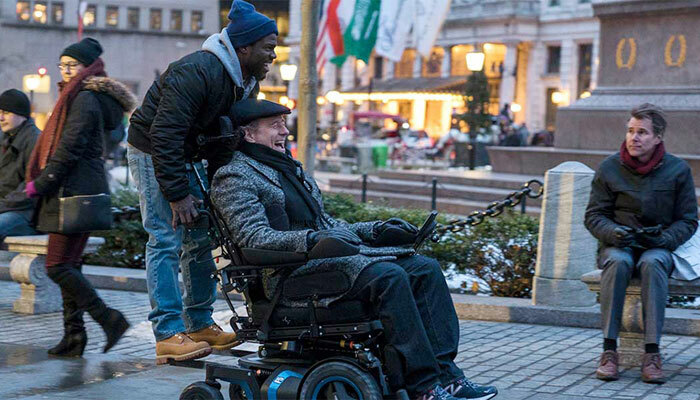 With Bryan Cranston as the wheelchair-bound billionaire and Kevin Hart as the man he hires to help him, "The Upside" is a remake of a 2011 French hit, "Les Intouchables." After premiering in 2017 at the Toronto film festival, it was shelved as allegations against Weinstein multiplied; STX and Lantern Capital then bought its rights and re-edited it for a broader audience, Variety reported. While Warner Bros.´s "Aquaman" slipped to second place, it has surged past the $1 billion mark worldwide, the first DC comic-book film to do so since 2012´s "The Dark Knight Rises." The weekend was good, as well, for Nicole Kidman, who co-stars in both of the top two movies. In third place was Sony´s new release "A Dog´s Way Home," which took in $11.3 million. Bryce Dallas Howard voices the title pooch who has a series of adventures after being separated from her owner. Ashley Judd and Edward James Olmos co-star. "Spider-Man: Into the Spider-Verse," also from Sony, continued to perform well, taking in $9 million in its fifth week out to place fourth at the box office. It won the Best Animated Movie award at the recent Golden Globe ceremony. Yet another Sony film, "Escape Room," took in $8.9 million to garner the fifth spot. The film stars Logan Miller and Taylor Russell as part of a group facing deadly consequences when sent into an escape room.